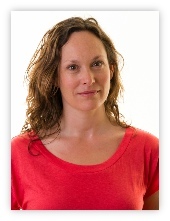 Sam is a fully qualified Nutritional Therapist. She completed her technical training at the UK College of Nutrition and Health (BCNH), and her clinical training at the Institute for Optimum Nutrition (ION). Sam is registered with the official regulatory body for complementary practitioners in the UK, the CNHC (Complementary and Natural Healthcare Council), which is supported by the Department of Health and whose role it is to protect the public by keeping a register of properly qualified practitioners who are certified as safe and competent. She is also member of BANT (British Association for Applied Nutrition and Nutritional Therapy), the professional association for nutritional therapists and is bound by BANT’s Code of Professional Practice which lays down the standards of conduct, client care and professional practice expected of members. Having always strongly believed that what you eat can have a profound affect on your health, Sam re-trained as a Nutritional Therapist. She undertook her training in conjunction with having two children, and while still working in her previous career in the IT industry. During this time Sam not only learnt about the difference nutrition and lifestyle can make to your health and wellbeing, but possibly more importantly, how to incorporate these changes into everyday life realistically and practically. Now Sam’s aim is to pass this knowledge on to her clients in order for them to be able to make a difference to their health and the way they feel. This is achieved through implementing personalised nutrition that works for them in their day-to-day lives.